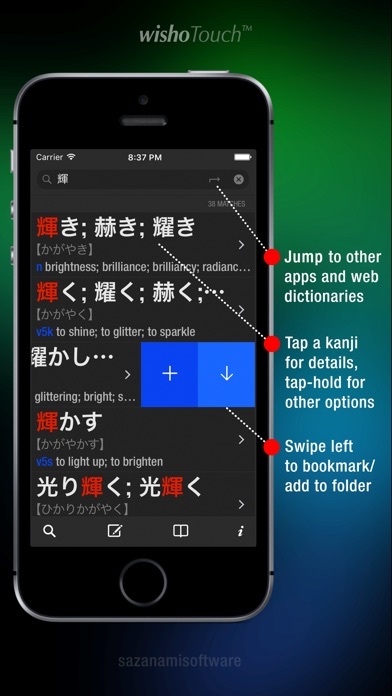 This is an update for existing users of wishoTouch LITE. 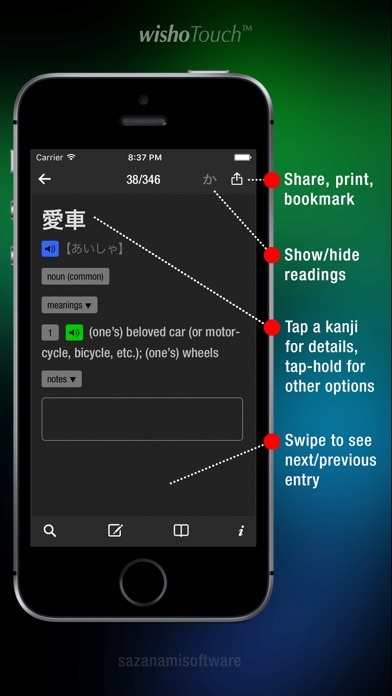 New users, please see wishoTouch. 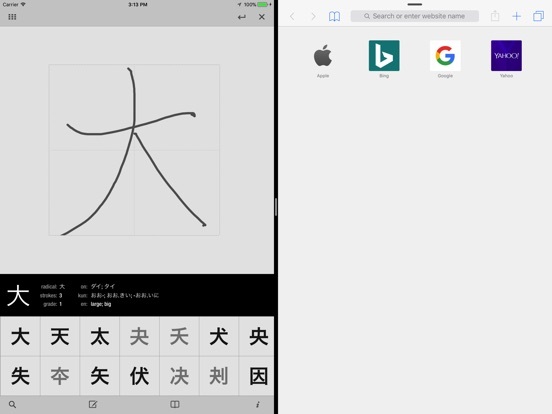 - Kanji Extension can now be used to look up words (from other apps like Safari). 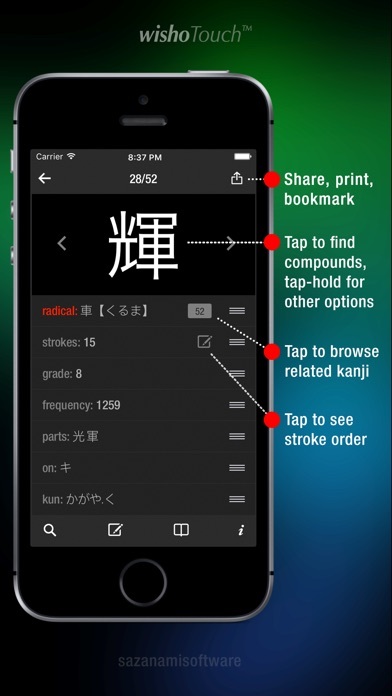 If the headword contains kanji, you can tap them for details just like in the app. - (NEW!) 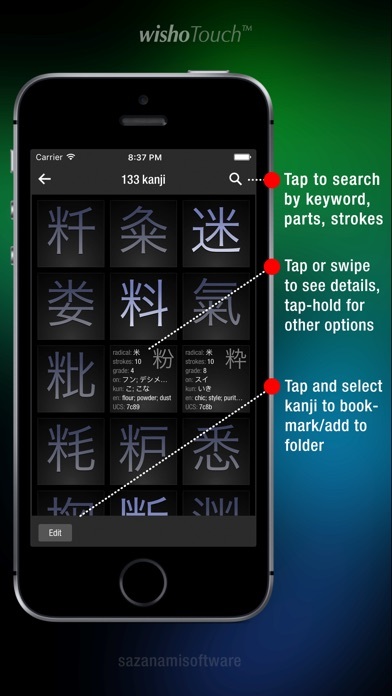 Flashcards Module — test your reading and comprehension of kanji and vocabulary. 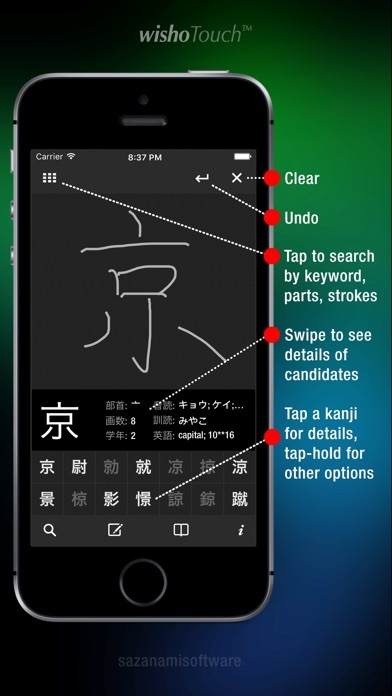 Features include statistics, badge reminders and Game Center integration.